Coming to New York for the first time is like meeting a famous world leader. You can't hope to separate the actual city from the legends told about it. 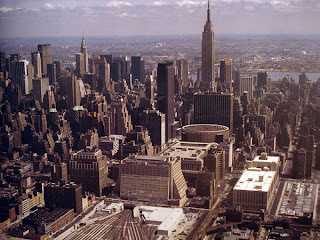 I grew up far away, but the city forced its particles into my brain: Central Park, Radio City Music Hall, Times Square. Growing up in any part of America, we'd hear these place names many times. Half the power of visiting Manhattan is to plug in to their reality: "There's Radio City Music Hall! It's real!" 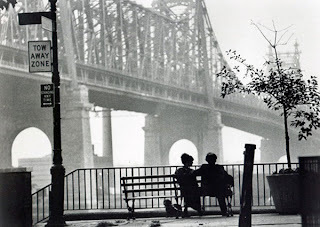 New York took on new allure when I watched Woody Allen's movie, Manhattan. I left the theater jumping up and down with excitement. It was a vision of a different life. 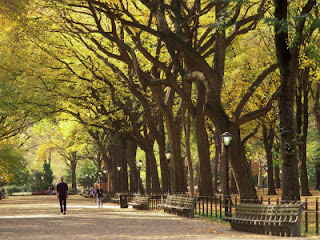 A place where people talked for entertainment, where a beautiful woman might call and say, “Would you like to walk through Central Park with me this afternoon?” No freeways, no loud music. It looked like a black-and-white heaven to me! I loved the silvery photography. I loved the Gershwin music. 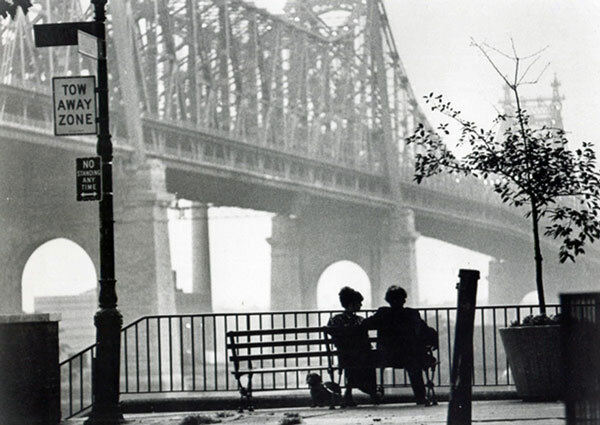 The love stories were a bit silly, but I wanted to be Woody, to live in that world. Of course I would discover that Woody's Manhattan did not exist. But first I'd have to get there. I was twenty years old. 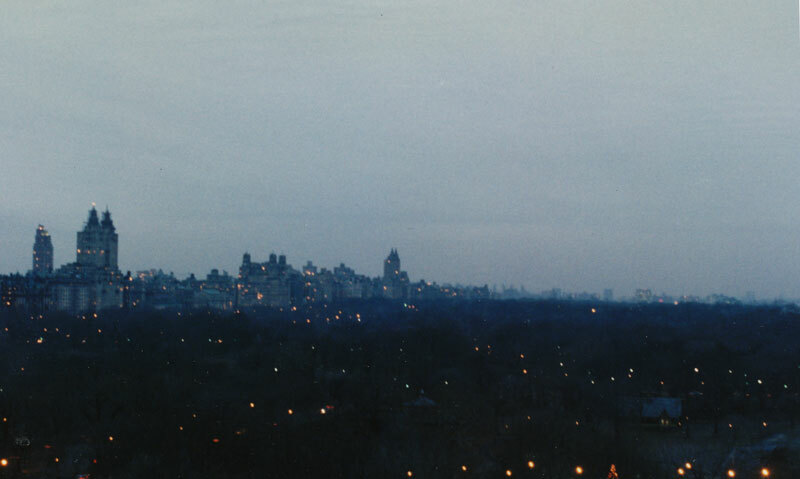 My art school in Philadelphia organized day-trips to New York, and I went up on the first one. How can I describe the excitement of just walking along Fifth Avenue on an autumn afternoon? New possibilities opened up in every direction. Each minute felt more important, when spent here. The stones throbbed under my feet. I stood on the beating heart of the world. 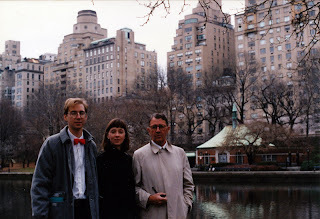 During the 1980s, I cultivated a connections in New York. 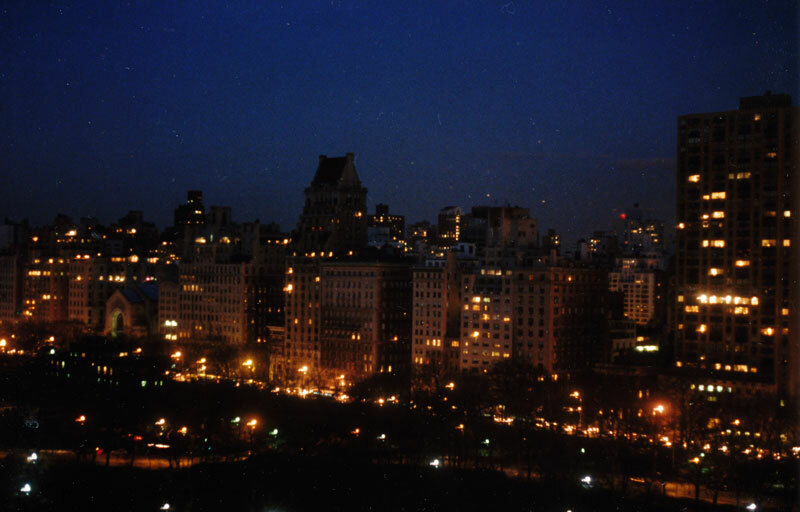 I spent many days and nights in Manhattan. 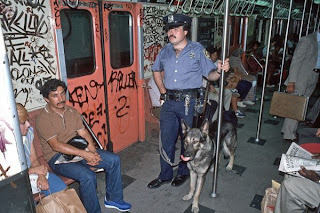 I felt comfortable, never threatened or intimidated by the city. The excitement did not wear off, but I had to deal with reality, not cinema. Woody Allen's characters do not stand shivering on urine-soaked subway platforms; the subways were a vision of Hell during the 1980s. 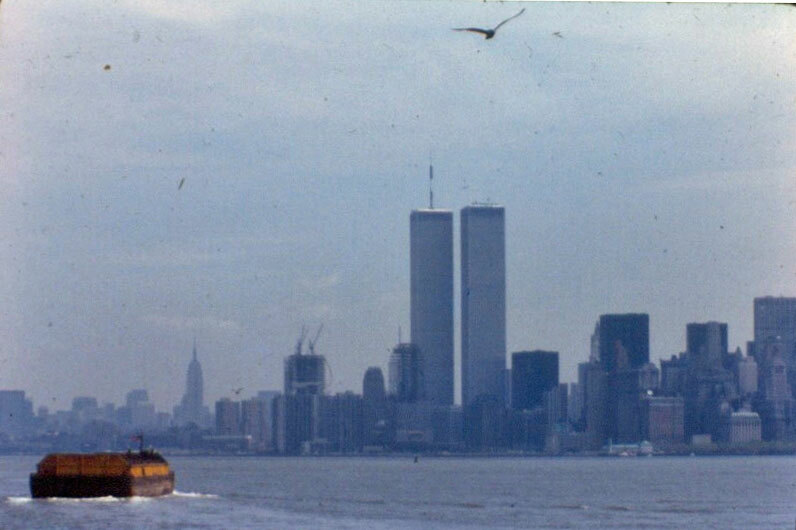 Another let-down was the constant noise of New York. Allen's characters exist in a hushed environment, where they can speak in whispers and be understood. 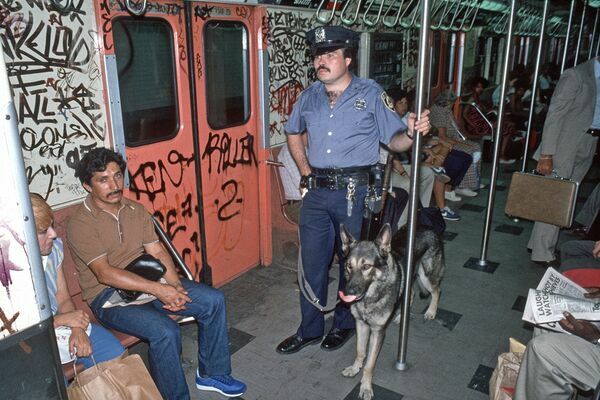 In the real New York, a rumble pecks at your brain always, everywhere, and no amount of money can protect you from it. 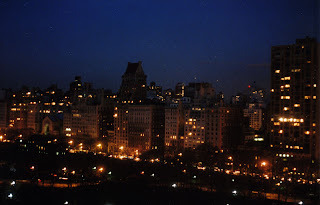 More than once, I awoke on Central Park South at 3AM, to the sound of crashing metal and spine-tingling shouts. I looked out my window and saw—what else—sanitation workers, screaming at each other and bashing trash cans together, working as though they were paid to keep every person in the city awake. Like other frightening titles given to New York, "The City That Never Sleeps," isn't an exaggeration. Another title well-deserved, New York is the capital of the art world. Other American cities have good art galleries and museums, but people rarely fly to them specifically to see or buy art, as they do here. 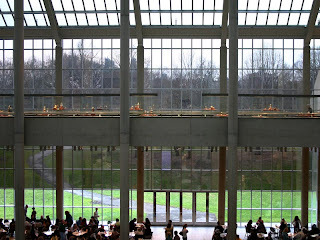 When I first saw it, the Metropolitan Museum of Art was New York in miniature for me. I thought every important painting in the world was here. 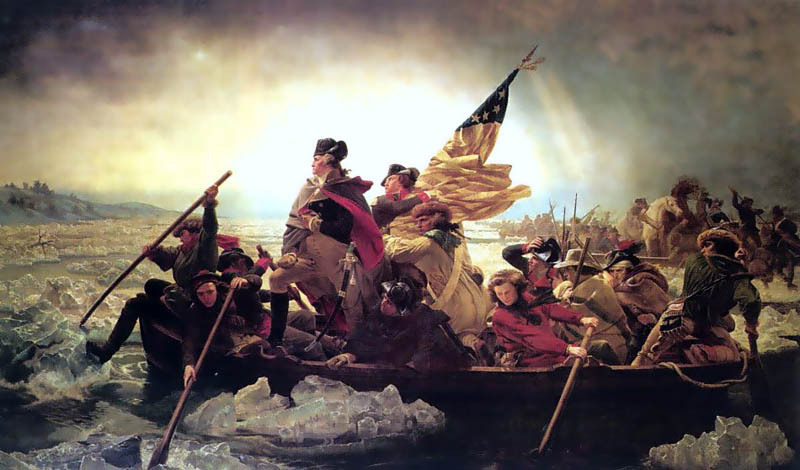 All the images I'd only seen in school textbooks, like George Washington Crossing the Delaware by Emanuel Gottlieb Leutze. On my first day at the Metropolitan, I stayed four hours, determined to conquer the place with my eyes. I failed. At the end, the museum had many more rooms, but I couldn't bear to see anything else. I ran from the building, breathing hard. At graduation, I was happy to stay in Philadelphia. I had a restaurant job I liked and a serious girlfriend. I even had money in the bank from a grant award. I contacted art galleries and made appointments to show my paintings. No one scooped me up, as I'd hoped. This disappointment fed into a larger re-consideration of my future. Within a few weeks my girlfriend broke up with me. At the same time, I noticed that Philadelphia was difficult to live in when I didn't have school to build my life around. I spent most of that summer alone, thinking hard about what to do next. I didn't come up with many ideas, at least not consciously. I went on working my job, and got a new apartment for the next year. 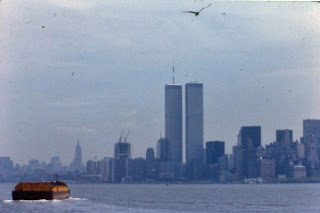 I didn't know it then, but that summer would have been the ideal time for me to move to New York. If the idea hit me, I didn't take it seriously. Instead I signed my new lease and gave Philadelphia another year to turn around. Meanwhile, a less conscious part of my brain said, "What you need is a new girlfriend." In September I duly acquired a new girlfriend. For the following ten years, every decision was determined partly by my desire to keep her. New York could not help in this effort, so moving was off the table. 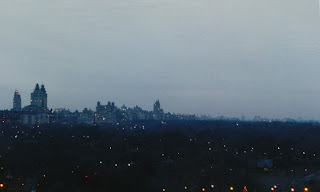 Nevertheless, New York and I would meet again.